Historically, Brittany dogs were bred as gun dogs. They are a medium-sized breed originating from France and originally registered as the Brittany Spaniel. The breed is one of the most popular pointing breeds for bird hunting. Quick, agile and affectionate, with impressive scent-tracking abilities, and a short tail, the Brittany breed can smell a flock of birds almost a football field away. Usually bred for their hunting prowess, the adult dog is curious, aristocratic, and charming in appearance. This hunting dog is a medium-sized​ dog and is usually very leggy. They are strong, agile, and very quick on their feet. Most of them possess dense coats that are usually orange and white with a flat and wavy appearance. They are basically two types of Brittany dogs: the American Brittany and the French Brittany with the American variety being generally larger in size than their French counterparts. The Brittany breed can also be sometimes referred to as a spaniel though not officially. These hard-working dogs usually have an average weight of 30–45 pounds and a height between 17.5 and 20.5 inches. The Brittany dog should be fed with top-quality dog food, which could either be manufactured commercially or homemade. As is common to most dogs, Brittany dog puppies would need more food (calories per weight) than an adult dog. An adult Brittany dog weighing about 40 pounds would require about 1109 kcal per day on an average. Brittany dog puppies weighing 20 pounds would require about 733 kcal per day. The level of activity also affects the number of calories a dog would need, for example, a hunting adult Brittany weighing 40 pounds would require about 1233 kcal. 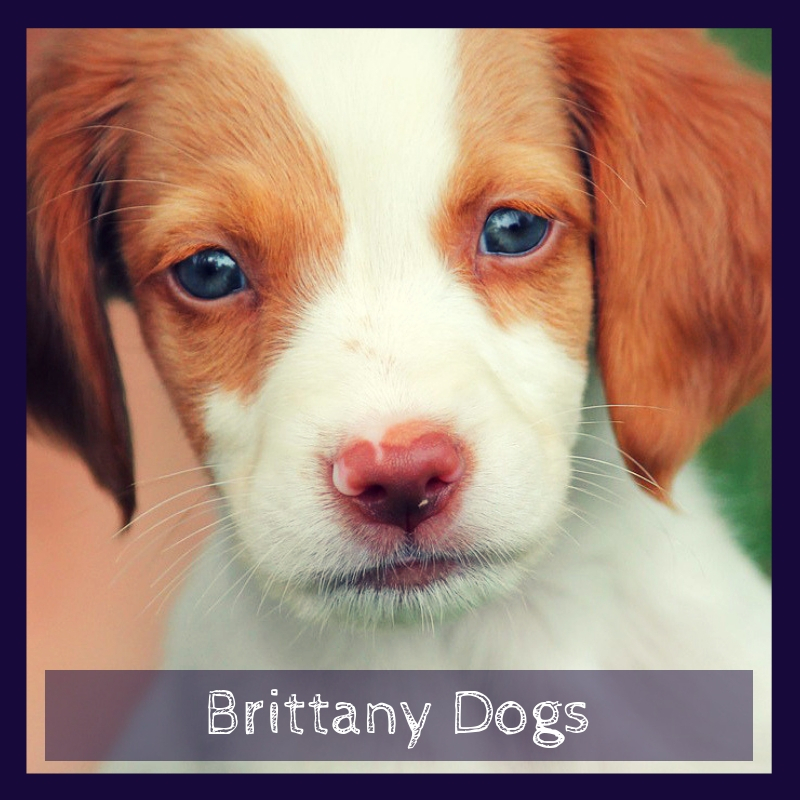 The best food to feed your Brittany pet is dog food high with animal protein, while meal time should be observed twice a day for adult Brittanys, three times a day for young Brittanys and up to four times a day for growing puppies. When feeding your dogs with a treat, it is advisable you do this sparingly as this could lead to obesity and other similar health complications. The only thing that should be made readily available and accessible to your dog should be clean fresh water. Ensure you check with your veterinarian to know which human food your hunting dog could possibly be allergic to and avoid having these foods in your dog's diet. You should also keep such food away from the reach of your pets. Fortunately, Brittany dogs are not heavily coated dogs, so you don’t have to worry about shedding. They have dense and wavy fur that is not really curly or silky, just flat. Because of this, Brittanys are easy to groom. Weekly brushing and a bath or dry shampoo when necessary would keep your Brittany looking good. You can loosen tangles with a slicker brush or metal comb, depending on your preferences. 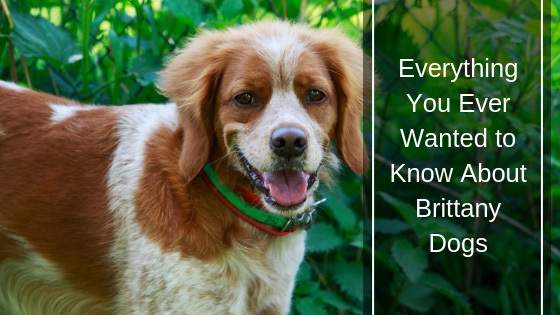 Also, you can brush your Brittany’s teeth at least two times a week to prevent bacteria from lurking inside. Ensure that you inspect and clean the underside of the ears regularly and a little light trimming around the head and neck area would go a long way in helping your dog look its best. The nails of Brittany dogs have a tendency to grow long and unruly if left untrimmed. It is advisable for owners to trim their dog’s nails at least two times in a month. Failure to do could potentially cause pain to you, your dog and others who come in contact with Brittany's paws. Training the Brittany dogs can be very simple if the proper methods are used. Avoid jerking them around, or being harsh during training. They love to plays so keep the dogs active! You can teach them to respond to simple commands, and never forget to include consistency and firmness to every single one of your training sessions with them. Also, you should keep them occupied if you ever want them to always learn. To help them deal with strangers, you can introduce them to areas where they are likely to meet other people as well as other pets. 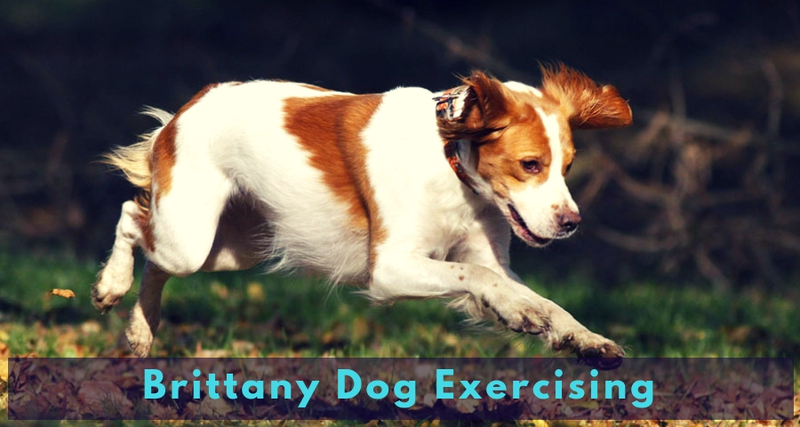 Do Brittany Dogs Need A Lot of Exercise? Brittany dogs are dogs that pretty much enjoy running around freely, especially in open space. These dogs love to exercise, but puppies should be given a time limit for that. Spend, at most, 30 minutes giving them exercise, which can include fetching balls or finding items. Make sure they don't engage in strenuous exercise because, as puppies, their joints are yet to be fully developed. Exercises would always make them stay happy, feel less bored, and help improve their mental stimulation. However, it is necessary you take breaks whenever your dog shows signs of weakness or fatigue. Is The Brittany Dog Breed OK To Have As An ESA Dog? Yes. Life with a Brittany is never dull. They are smart, active, agile and ​easy to train ESA doggie companions. They are very friendly and affectionate with relatively few health or temperament issues, making them a great family companion. With an average lifespan of 12–13 years, the Brittany dogs are known to be generally healthy. Although they are commonly affected by several diseases, it is important you know about them if you are considering this breed of dogs. Some lines are not usually affected, but below are some of the common diseases which the Brittany dogs are prone to. Several organizations including the Orthopedic Foundation for Animals have performed tests on the Brittany dog breed, displaying a large number of their health issues. When choosing a dog breed, it is important you consider the healthiness of such a breed. You can ask for health clearances from your dog's breeder. These clearances show that your puppy or dog has been tested for certain health conditions. It is important you show the Brittany dogs a lot of care. They tend to respond positively and offer a great level of companionship when they are aware of your love for them. They are not very big dogs, but they do know how to play a lot.